Siobhan Roberts new biography, Genius at Play: The Curious Mind of John Horton Conway, is an intimate investigation into the mind of an endearing genius, laying bare Conway’s personal and professional idiosyncrasies. Born in Liverpool in 1937, Conway found fame as a barefoot Cambridge professor. Since 1987, Conway has been the John von Neumann Professor of Mathematics at Princeton University. 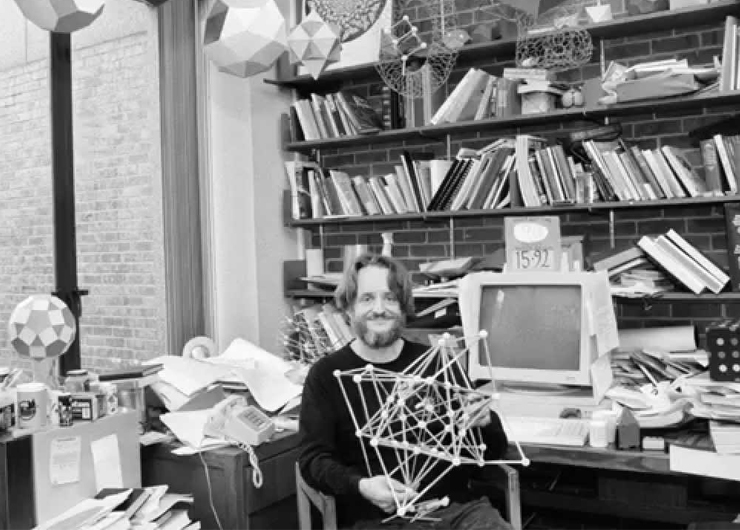 He is best known for inventing the cellular automaton “Game of Life”, discovering the 24-dimensional Conway group in the realm of mathematical symmetry, and happening upon the aptly named surreal numbers. He also possesses an abiding interest in words and etymology, plant morphology, magic squares, and rainbows. His most recent brainchild, with Princeton colleague Simon Kochen, is the Free Will Theorem. Siobhan Roberts first book, King of Infinite Space: Donald Coxeter, The Man Who Saved Geometry, won the Mathematical Association of America’s 2009 Euler Prize. Roberts is also the recipient of four National Magazine Awards in the science and technology long-form features category, and her work has appeared in numerous publications including The Guardian, The New Yorker, and Quanta, as well as The New York Times, The Boston Globe, The Globe and Mail, The Toronto Star, The Walrus, and The Mathematical Intelligencer. Fees for this event will be billed to the member’s account. Free Events: Please call, email, or go online to cancel your reservation by noon on the day of the event to avoid being billed the full price of event. Members who do not cancel their reservation will be charged a $10 no-show fee for each reservation (member and guest). Paid Events: Occasionally events are final sale or have a final sale date, so please check the full event description prior to making your reservation. If an event has no final sale date listed, please cancel two business days prior to the event to avoid being charged the full price of the event.